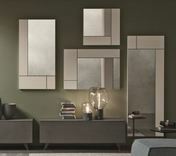 At Robinsons we have a range of modern mirrors to compliment your living space and bedroom furniture. 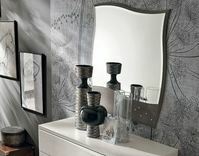 Many of our mirrors would work equally as well in the living room, hall, dressing room or bedroom. 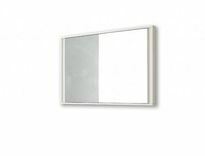 Whether a cheval or outsize stand alone fashion statement, wall mounted or dressing table mirror you should be able to find something different on our website. We have simply listed a few examples from the wide range we have available. Frames can be decorative metal, upholstered to match your furniture with various woods, glossy and matt lacquer finishes made to match your decoration. We are constantly adding items so if you don't see anything please do not hesitate to contact us for ideas, further details and prices. Either order online today, visit our Glasgow bedroom furniture showroom or call us to order today on 0141 632 1384. We deliver throughout the UK including London, Glasgow, Edinburgh, Aberdeen, Manchester, Birmingham, Newcastle, the Home Counties including Kent, Sussex, Essex, Surrey and Bucks, Cheshire, The Midlands, Hampshire, Dorset and the South West.